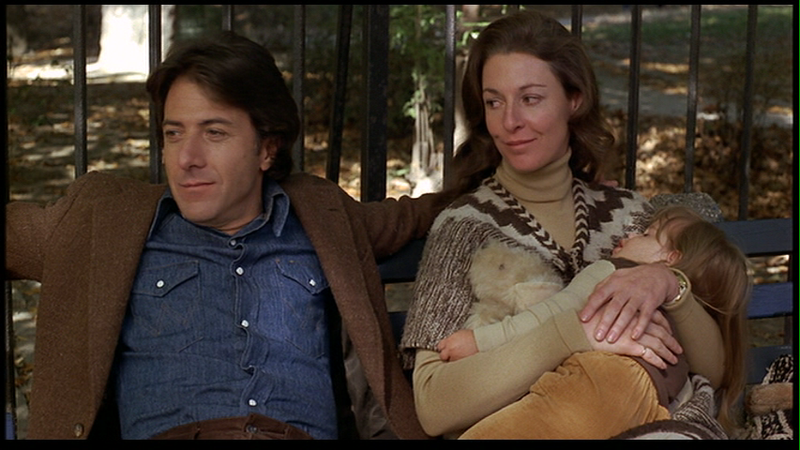 When his troubled wife (Meryl Streep) walks out on him, a workaholic father (Dustin Hoffman) must learn to care for their 6-year-old son Billy (Justin Henry) on his own. Soon Hoffman discovers the joys of parenthood, but things are complicated when Streep reappears and demands custody of Billy. 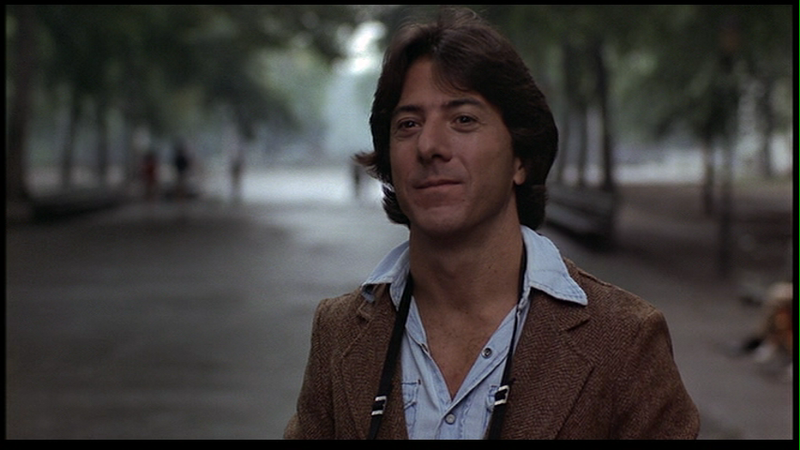 While acknowledging that Kramer vs. Kramer (based on Avery Corman’s real-life-inspired novel) is an “excellent, thoughtful, humorous, sensitive film with terrific acting and real characters”, Peary nonetheless expresses some serious reservations in his review, arguing that the film “ridiculously glorifies Hoffman for doing what so many mothers do as a matter of course”. I disagree: because KVK is essentially a character study (we see things almost exclusively from Hoffman’s point of view), it makes sense that his transformation from self-absorbed workaholic to loving father is shown as a tremendous accomplishment — for him, it is. With that said, it would certainly be interesting to see the entire story told from Streep’s perspective; but this would be a different film altogether. To her credit, Streep (who won a Best Supporting Actress Oscar) manages to convince us that her heinous abandonment of Billy was an act of desperation rather than rationality. Even more impressive, however, is Hoffman, who deservedly won an Oscar as best actor of the year — he apparently invested an enormous amount of time and energy into his role, essentially co-writing the script with director Robert Benton, and using improvisation whenever possible. The rapport he develops with Henry (an excellent child actor) is wonderfully natural; I love how there’s never a musical montage depicting their life together as “single males”. 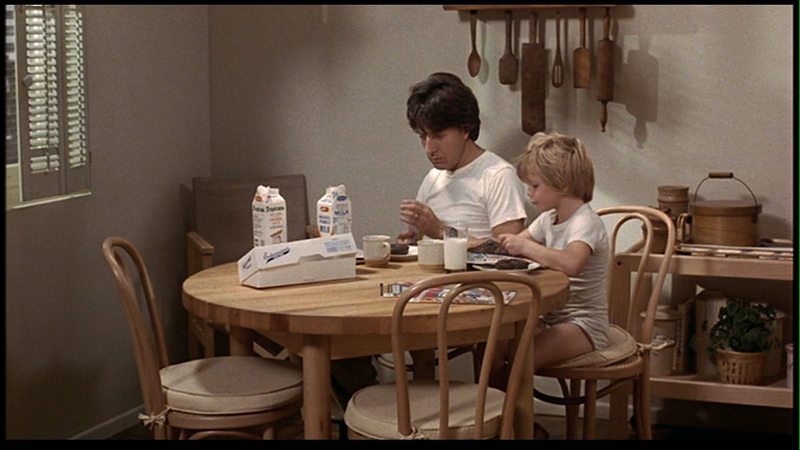 Instead — in one of the film’s best sequences — Benton shows us Billy silently setting out plates and doughnuts for breakfast while he and his dad read their respective “papers”. This type of carefully rendered authenticity permeates the entire narrative, which is often heartbreaking — and occasionally melodramatic — but always, fortunately, real. Yes. 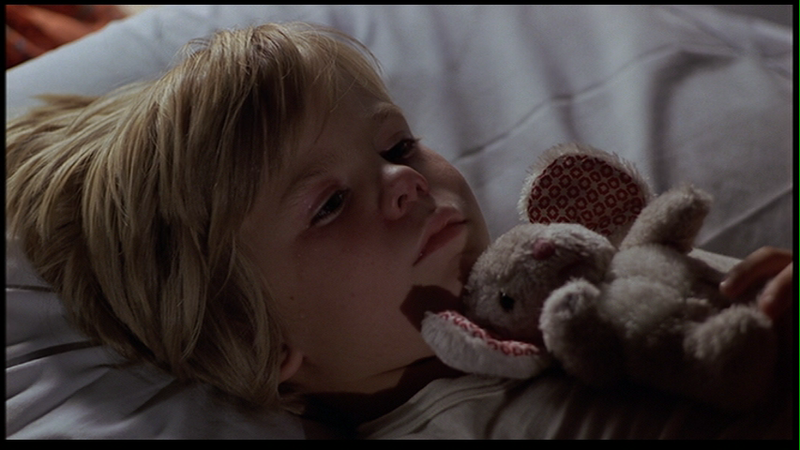 This moving, well-acted drama remains the best film ever made about a custody battle. I admit to feeling very differently about this film when I first saw it years ago. At the time – being gay and without any real understanding of the devastating effect of divorce (esp. 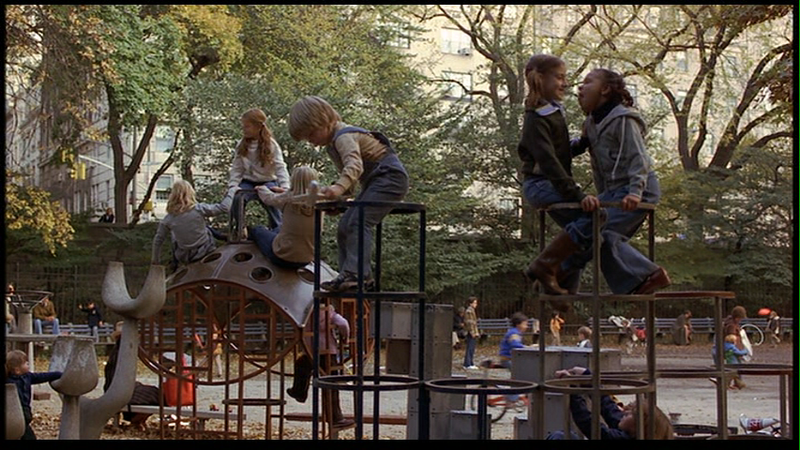 on children), I watched this from a surface viewpoint. And the kid annoyed me. Of course I’m still gay, and still looking at divorce from the perspective of a foreigner – but I can appreciate the film more now. And the kid did not annoy me. I get it. This is a very compelling film. It sweeps you up and doesn’t let you go until it’s ready to do so. Everything comes together as a whole. It’s extremely economical. The conclusion could not be more perfect. 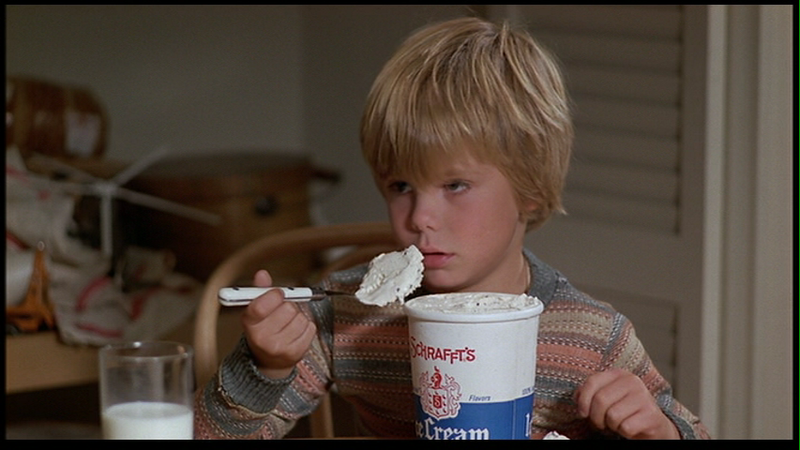 Hoffman is not among my favorite actors – and this isn’t among my fave roles of his – but his work here is commendable. I esp. like the scene right after Streep leaves him: he’s with his boss, assuring him that he’s on top of things professionally, and for one split-second he’s just about to break down and cry but he quickly puts himself in check. Great stuff. 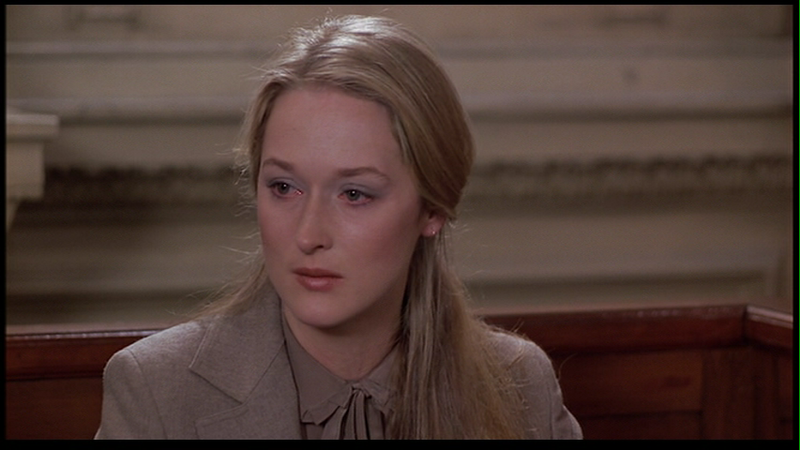 Streep is stunning; very, very precise work here. Sidebar: In an episode of the god-awful ‘Inside the Actors Studio’, Streep revealed that, as an actress, she works with a secret character element in each role – one that no one else ever knows. About this film, she admitted that the ‘element’ was that she never loved Hoffman. Now, to make such a technique work organically, it could not go against the grain of the script. Since this is something we now know, it begs the question: why, then, did her character marry him? …Perhaps the answer to that is not the point. Fave moment has to be the JoBeth Williams scene in the hallway – truly among the most hilarious small moments in film. 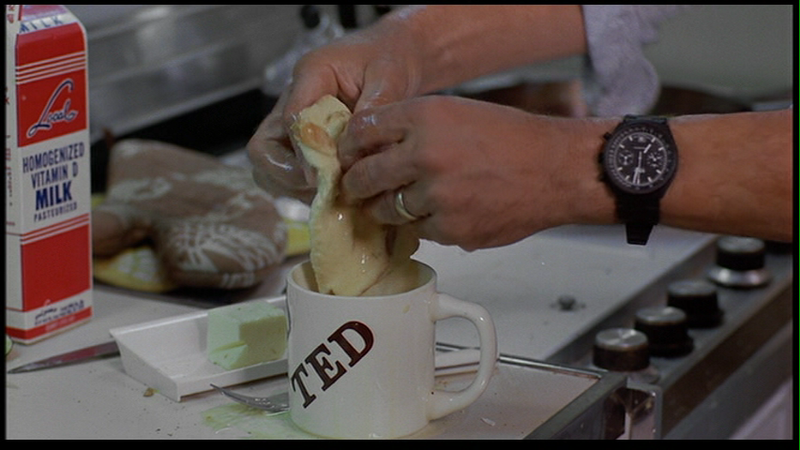 A big plus here as well is the work of DP Nestor Almendros. The film is sumptuously yet subtly shot. Writer/director Benton has a surprisingly small resume. This may be my favorite of his films – although I’m very fond of ‘The Human Stain’ (2003).